Are you interested in having your child sit the Selective Entry High Schools Examination in June, 2018 but are worried you missed the content in Terms 1 & 2 of the selective program? Do you want your Year 6 child to revise the major topics before they sit scholarship exams in February? Does your child excel in some areas covered by the exam, but flounder in others? This summer, Spectrum Tuition is delighted to offer limited places in its intensive ‘Selective Entry Exam Catch-Up Classes’. Classes will run over three days from 15th – 17th January for our selective students and 15th – 16th then 18th January for scholarship students. The scholarship mathematics workshop will be held on Thursday 18th January. The location is Footscray North Primary School (Cnr Rosamond Rd & Mephan St, Footscray). How to structure and write effective, engaging narratives, and persuasive essays in fifteen minutes. How to quickly and accurately solve mathematical and numerical reasoning problems by drawing on BODMAS, algebra, factors and multiples, and other core mathematical concepts covered in Terms 1 & 2 of the selective course. The scholarship course will focus on topics specific to the ACER scholarship exams which are often held in February. How to speedily and accurately interpret common types of verbal and logical reasoning questions covered in Terms 1 & 2 of the selective course. How to read a range of texts and respond to comprehension questions under pressure. 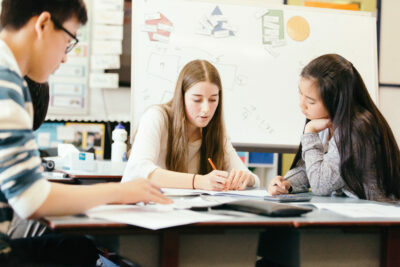 Our expert tutors will work through core concepts step by step, building your child’s confidence and giving them the support they need to do their absolute best on the exam. Classes will also include practice exams giving your child vital experience working under exam-style conditions. Cost: $500 per full day workshop or $900 to attend all 3 workshops. BONUS: Receive an ADVANCED exam package PLUS the essay writing bundle absolutely free if you book in for the 3 day program ($238 value). Workshops on days 1 & 2 also suitable for students sitting scholarships in Term 1, 2018. Improve your chances of success. Strictly limited places. Book your child’s place today!